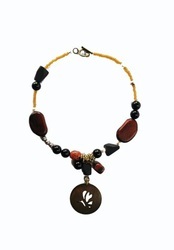 Dragonfly symbolises delicateness yet bold beauty from the rich rapture of it's wings and flutter. 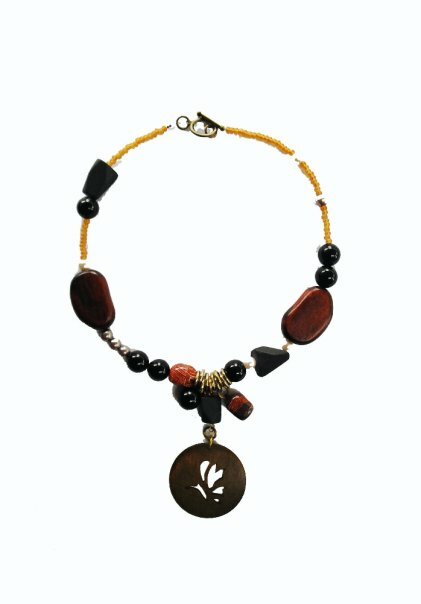 Embellished with semi-precious stones and an array of wooden beads and Dragonfly pendant. Finished with a brass plated toggle.